Alyssa is a Senior Client Service Associate with Heritage Wealth Advisors. As a Senior Client Service Associate, Alyssa assists the Director of Tax Services and Relationship Managers with servicing existing and new client relationships in the areas of tax preparation, financial planning and estate planning. Prior to joining Heritage Wealth Advisors, Alyssa worked at Grameen Bank in Bangladesh and in the Economic/Political section of the U.S. Embassy in Singapore. 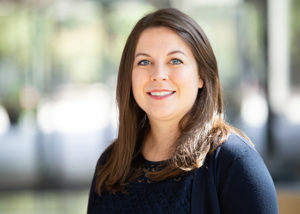 Alyssa earned her Masters of Accounting from Virginia Commonwealth University, and her Bachelor of Arts degrees in Economics and International Relations from the College of William & Mary.